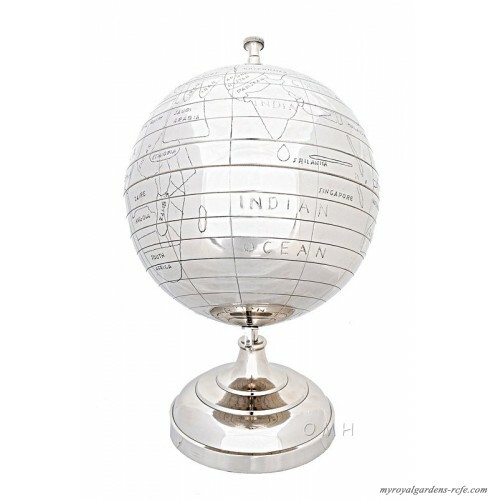 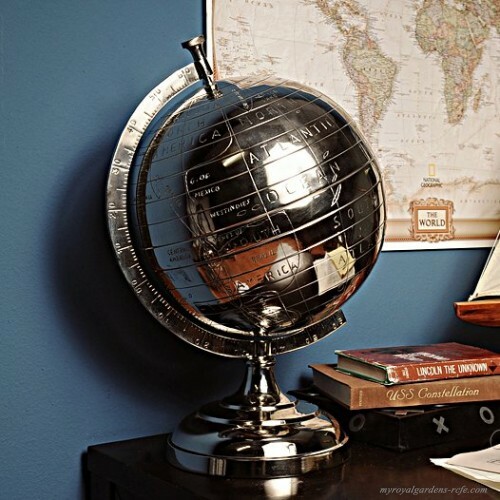 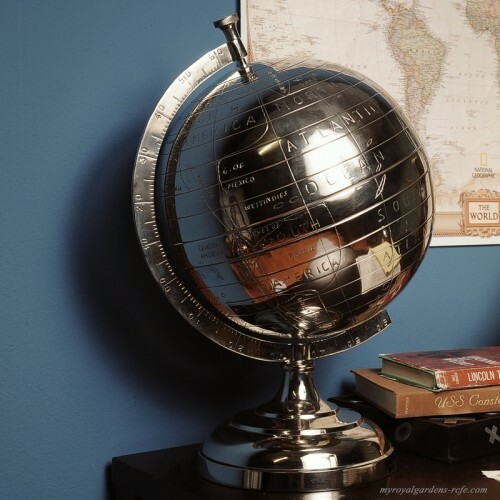 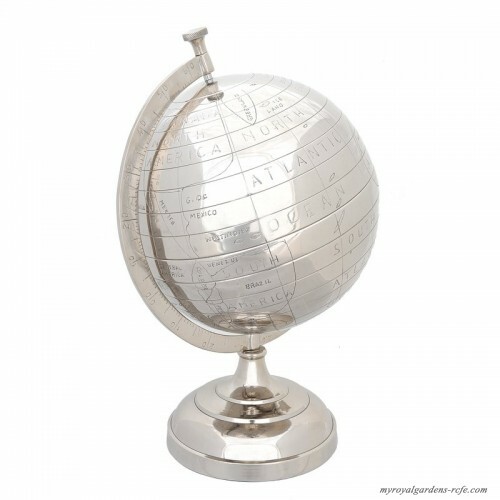 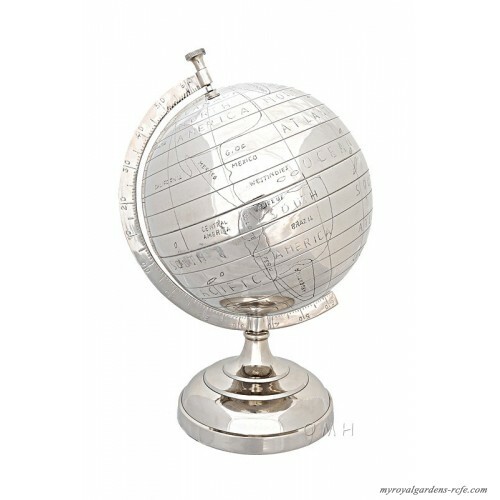 Travel the world in the comfort of your home or office with this aluminum globe. The semi-meridian holds the globe atop the aluminum base. The primitive engraved continents and names are inspired by the discovery of land in the early 1800's. 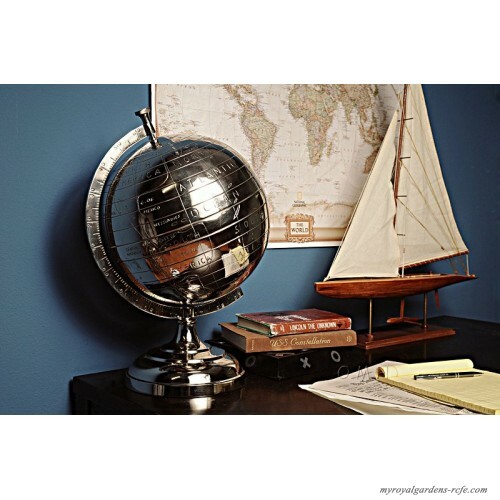 Globe Diameter 13" - 20"